Inaugurating our end-of-the-year countdown is Bryce Avary’s latest masterpiece Do You Feel. Although it is evident to many that this album satisfies the “pop” and radio-friendly categories of music, The Rocket Summer is far from being mainstream. 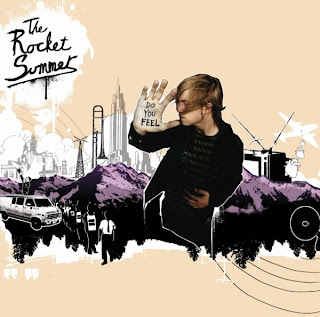 Yes, he may have teetered a little with MTV’s TRL, but The Rocket Summer has become a hidden diamond in the rough. What makes this album so incredible is not just the infectious hooks and addicting melodies. It’s more so the fact that 25-year-old Bryce Avary created and performed everything himself on this album. Whether it be the lyrics, the vocals, the guitars, or the drums; Bryce does it all. Do You Feel may not be for everybody, but it’s relentless catchiness has earned itself a deserving spot outlining the top albums of 2007.